Step back in time to experience rail travel in the roaring 1920s, soaking in the atmosphere of the lovingly restored British Pullman. In days past, only the likes of royalty and film stars enjoyed the exquisite opulence of these trains, with their wood marquetry interiors, tables set with crystal and lustrous silver, and polished brass luggage racks. 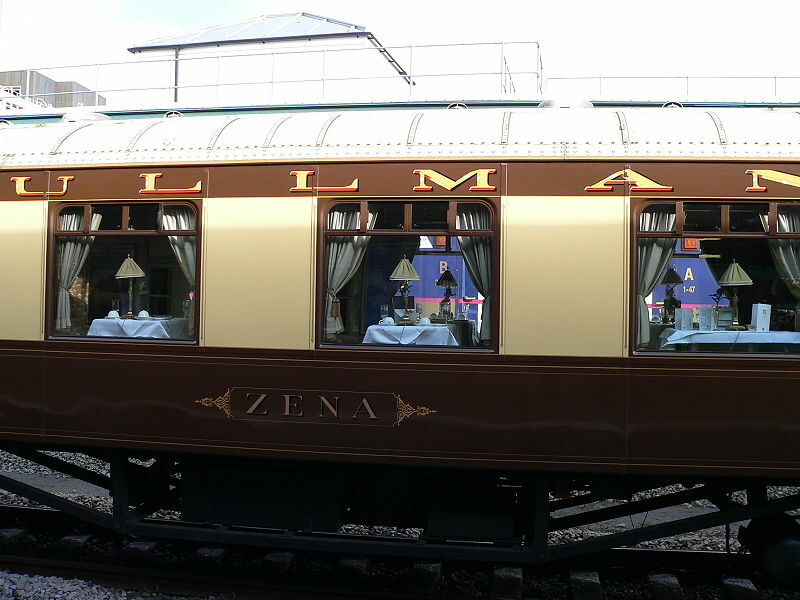 A part of the Venice Simplon Orient Express fleet, the British Pullman takes guests on enchanting Newmarket Holidays day excursions to a variety of destinations. Guests’ first view of Chatsworth House, fronted by the River Derwent and surrounded by gardens, is a breathtaking event. The original home at Chatsworth was the work of Sir William Cavendish, built in the 16th century. No trace of this original building remains, but the house now standing features many of the original Elizabethan features, and the estate’s hunting tower on the hill behind the house has stood since the 1580s. Stroll through the dazzling gardens and experience the dazzling collection of priceless treasures. The best preserved medieval city in the UK, York remains rich in romantic ambience and entertaining activities. Exploring the city on foot immerses guests in the city’s exquisite architecture and quaintly cobbled streets, as they tour the museums, historic buildings, restaurants and shops. This Newmarket Holidays escorted tour includes a trip to York Minster, Northern Europe’s largest Gothic cathedral. Travel to Goodwood, home of the annual Glorious Goodwood meeting, aboard the luxurious British Pullman. See the race’s top runners from the racecourse’s Gordon Enclosure, where outstanding views and supervised baby and toddler daycare allow guests to relax and enjoy the excitement. The Gordon Enclosure provides easy access to betting facilities, bars and other essentials, from snacks to fine dining, on race day. When travelling on the British Pullman, guests can enjoy meals freshly prepared by the train’s executive chef. Enjoy a Bellini with brunch, as you choose from fresh bakery items, fresh fruit and perhaps eggs and smoked salmon. Lunches and dinners feature five courses of seasonal dishes. Enjoy a glass of champagne before dinner, and fine wine included with this tour. Deciding to take a trip that immerses travellers in the romance and charm of the Golden Age of travel is easy. Choosing a destination may be a bit more difficult. Newmarket Holidays provides details of each day-trip holiday on its website, and its helpful Customer Service Team is available to answer any questions and to help book the escorted tours suited to the traveller. A trip aboard the British Pullman promises to be unforgettable, so just sit back, relax and enjoy.